Otto Tuza for now over 20 years has built Australia’s Highest quality Australian Made horse floats, for customers Australia wide. 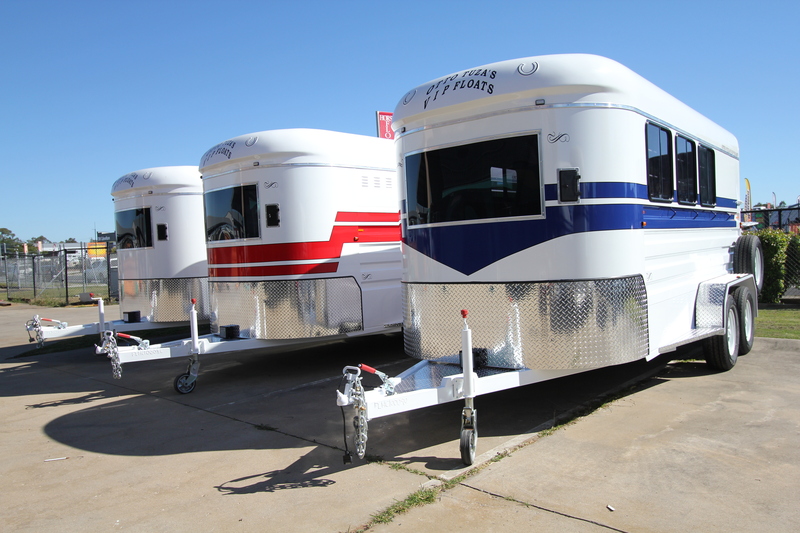 Our floats are well known for their Engineered design-Strength and durability ensuring we are providing your precious cargo and family a safe-comfortable-easy to tow horse float. Each float is fitted with our own engineer designed fully independent torsion suspension which is backed with a 5 year warranty and a 2 year structural warranty for your peace of mind. 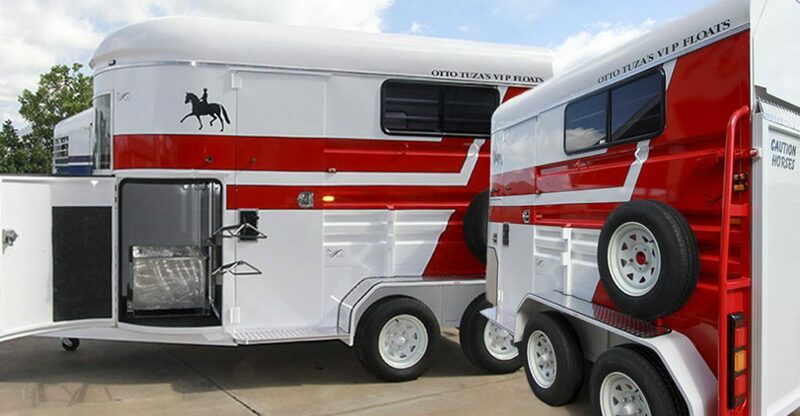 Otto Tuza manufactures horse floats from budget floats, Straight Load, angle load floats right through to custom built horse floats to suit your individual need. To view more floats go to the top Menu tab and select which float will suit your new horse float purchase. Otto Tuza specialises in custom built horse floats. With Otto Tuza’s wealth of knowledge and experience you have contacted the company that can be trusted with your next big investment. When custom building our horse floats this is NOT sourced from outside of our factory. EVERYTHING from welding to kitchens to living areas is manufactured in house in our factory at 32 Learjet Drive Caboolture, Qld. 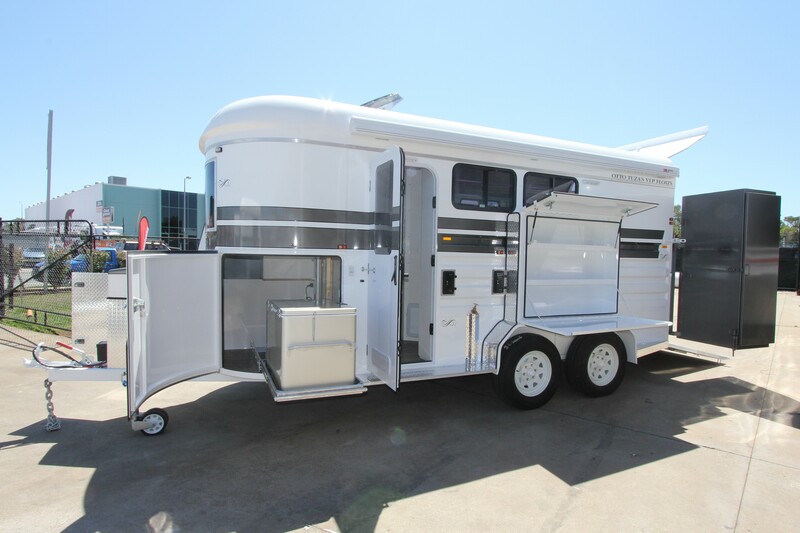 After purchasing your custom built horse float, you have the opportunity to come in and inspect your float. This would be done throughout the manufacturing process and fit out stages of your float order. For further information or assistant contact us for the service you deserve from the Company you can trust.